Any technology available some time in its life time is prone to few problems—may it be high technology or a minor one. And same is the case with Apple iPad. A very commonly faced problem with the iPad is "iPad screen is totally frozen". In this "iPad frozen" issue, the iPad starts to freeze specifically on some menus; some people prefer to call this my iPad is frozen issue as a crash/apple logo/update forzen. When iPad freezes, it just does not respond to any of the clicks and not to home button or sleep button too. Well, nothing is much serious as we have got for you the best and the most simple solutions for your "why does my iPad keep freezing and restarting" issue. Well! 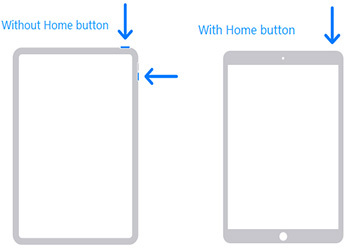 Without wasting more time, we would like to now introduce you some troubleshooting steps that you can follow when stuck with iPad is frozen and how to restart dilemma. Let's start finding the solution. Follow the tips one by one and see which one works for you. When your iPad is frozen and not responding, make sure to restart it as the prime solution. To do this, press and hold the 'Power' button and upon seeing the slider saying 'Slide to power Off', swipe it. The device will get turned off. Now, press the 'Power' button again and wait until it gets turn on. Enter the passcode and start your device. 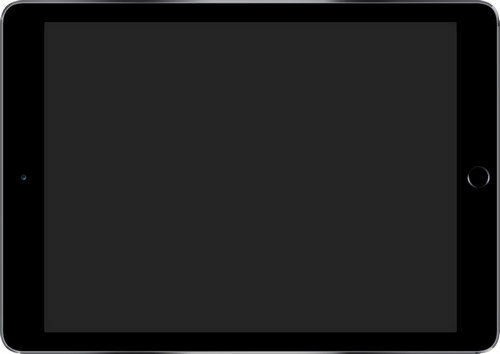 If you are not lucky enough to fix iPad frozen on Apple logo, black screen, iTunes logo, password screen, can't turn the iPad Off, not possible to restart etc. after going along with the aforementioned tips, unfortunately, there could be some system issue due to which the above list is not working. On not ceasing the iPad frozen won't turn off issue, we would suggest you a highly professional tool that can help you in such situation and will wipe away all the iOS issues. The name is Tenorshare ReiBoot whose function is to fix all major iOS issues and which can be used in iPad frozen issue. This will fix the problem effortlessly and you can use this tool in other issues also like iPhone stuck in recovery mode, restart loop, headphone modes, iTunes error etc. the best part is, all this can be repaired without any data loss. Hence it will be a great option to choose when your device is frozen. The step guide is given below. You should always take help of this workaround when stuck with any minor issue with your iOS device. Forcing reboot takes only a couple of seconds and we hope when your iPad freezes, this will help you in getting rid of the issue. To perform this, start holding down the 'Power' and 'Home' buttons simultaneously and keep doing this for nearly 10 seconds. Release the buttons just when you see the Apple logo coming on your screen. Many times, iPad gets frozen won't and turn off due to a specific app. So it is recommended to check which app is leading to this issue and on checking, it will be a wise decision to delete that flawed app. See if this removes the issue or not. If not, you can move to the next fix. Step 1: First delete the faulty app by long pressing its icon and click on the X icon when appears. It will be seen at the top right-side of the app. Step 2: Click on the X button to delete the app. Once the app is deleted, again reinstall the app from the app store. If none of the above 2 methods solve your "how to fix a frozen iPad" problem, then it is time to restore your iPad to the factory settings. Step 1: Launch iTunes on your PC and then connect your iPad to it using the cable. Step 2: When the pop up asks to Trust This Computer, simply the steps onscreen. Step 3: Choose your iPad when it is displayed in iTunes. Now in the Summary panel, tap on click Restore option. Step 4: To confirm, again tap on Restore. iTunes will now erase your all iPad data and install the newest iOS on it. Once the device is restored to factory settings, it will restart. Part 2: Why My iPad Screen is Frozen? In short, we have discussed the best and the simple methods to know how to unfreeze an iPad. If you are unable to solve the problem with ease, simply prefer use Tenorshare ReiBoot to solve the problem. Do share your feedback and tell us which of the methods helped you out in below comments.